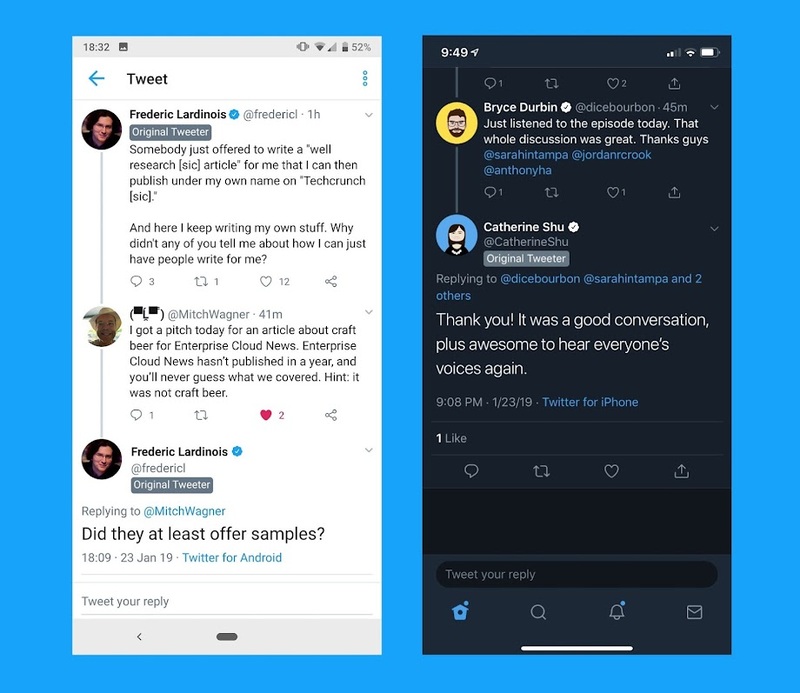 Twitter is planning to introduce a new feature on its platform that distinguishes the original Tweeter from responders. This new Tag will help to access the tweeter, who started the post (just like Reddit's OP feature). It will also be helpful to expose the real person, who tries to create frustration and the abusive situation on the platform. According to Twitter, the experimental label feature has been rolled out to a small number of iOS and Android users. The purpose of introducing new tag is to serve the Twitter users and their discussions, by marking original Tweeter. Generally, it is important for social media surfers to know the main source or origin of the content. Sometimes, the tweeter seems worthy enough to talk about, and we start discussions without knowing the origin of the tweet, and later we come across that tweeter was not even trustworthy to discuss and we just wasted the time. And sometimes the origin of the notorious tweets remained unveiled, that creates frustration and misunderstanding among other users. Related: What Does The New Twitter Web Interface Have For The Users? No doubt the tag feature will be helpful, but on the other hand, Twitter's openness to let its user create fake profiles with other names or pictures means bad actors can still manipulate this feature. Yet, it will be useful enough to distinguish the original tweeter fairly and without searching efforts. Though it is a minor change, yet Twitter’s more drastic (beta) plans, bring some developments like color-blended threads to make it more prominent and attractive. These beta plans have also begun characteristics like algorithmically type replies. Screenshot: Twitter @fredericl | TechCrunch.